Loten’s Sunbird is a small bird from the Nectariniidae family with long and curved bills. This bird often visits the our garden to feed on the flowers. 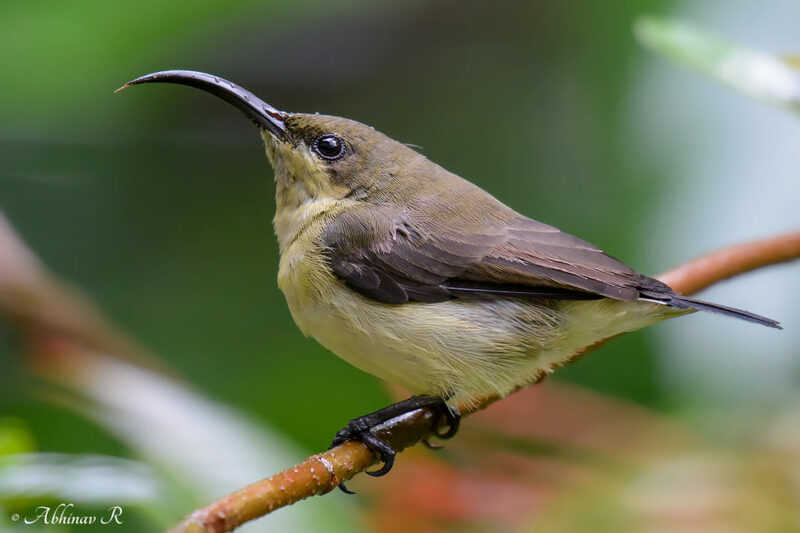 This and the Purple-rumped Sunbird are two most common sunbirds seen in Kerala. Photo 1: The male. Exif- f/8, 1/800s, ISO 400, 450mm, Nikon D7100, Sigma 150-500mm f5-6.3. Date- October 7, 2013. Location- Cheruvally, Kerala. Photo 2: The Female. Exif- f/5.6, 1/80s, ISO 800, 500mm, Nikon D7100, Nikkor 200-500mm f5.6E. Date- June 10, 2016. Location- Cheruvally, Kerala. The distribution of the bird is confined to southern India (mainly Sahyadri) and Sri Lanka. That means it is an endemic species. Habitat: Commonly seen in villages, gardens. The bird looks similar to the Purple Sunbird (Cinnyris asiaticus). But the C.asiaticus is smaller in size. Also, the bills are shorter and less curved. It has a wider range of distribution in south, south-east and western Asia. Loten’s Sunbird’s primary plumage color is shining blue. There is a maroon band on the chest. So it has another name – Maroon-breasted Sunbird. The belly area is brown colored. The female has a different appearance with yellow plumage. The upper side is darker while the lower side is light yellow. 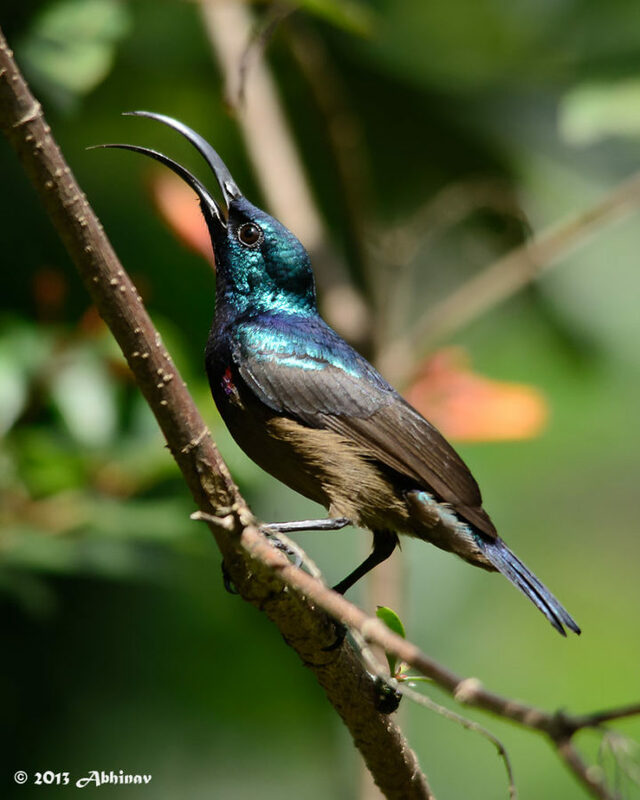 Loten’s and the Purple-rumped Sunbird are often seen fighting to feed on the same plant. Firebush plant is a favourite plant for both.